If there’s any time to make sure your printing is perfect, it’s your annual report, as no single piece says more about the professionalism of your business. 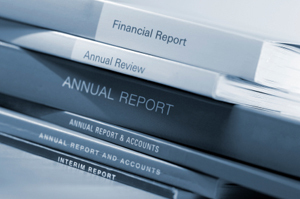 To guarantee your annual report is designed and printed without a hitch, work with the pros. Our innovative design team and stringent quality assurance process ensures you receive stunning annual reports that are accurate and on time. Bring us your content, and get your report started today.